Automatic needle threader. This tool is a must for every sewer and quilter. 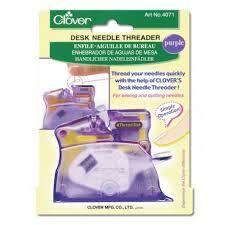 Easy to use and it threads needles with a simple push of a button. The threader also has a built in cutter.